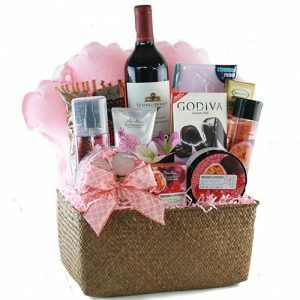 A complete spa gift set in a box from La Bella Baskets, just pure pampering and relaxation. Soothe and diffuse stress with a luxurious at-home spa treatment! 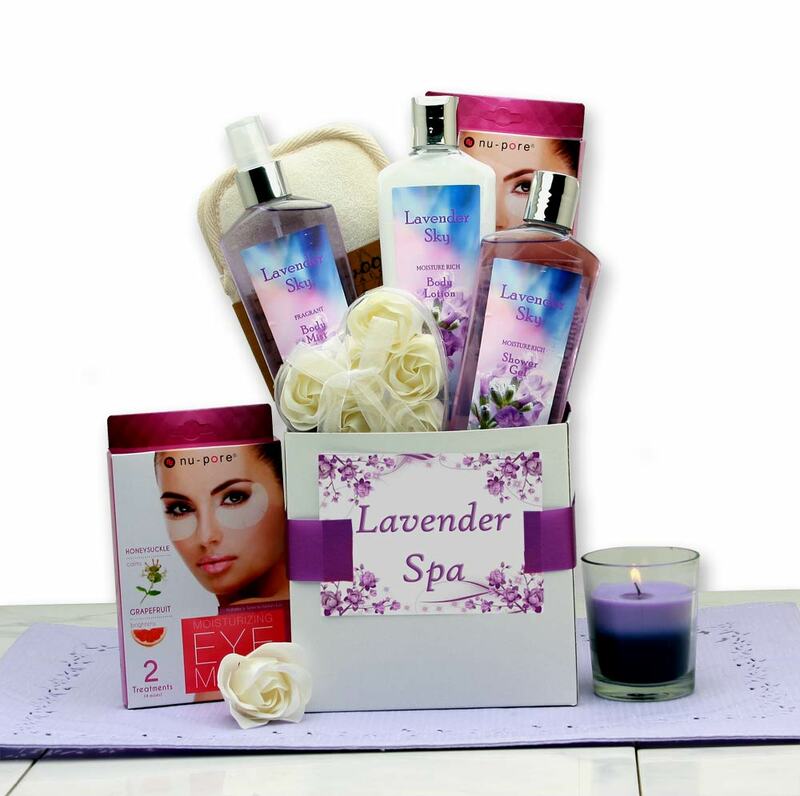 A complete spa gift set in a box from La Bella Baskets, just pure pampering and relaxation. Soothe and diffuse stress with a luxurious at-home spa treatment! A white gift box with your personalized message arrives with everything she needs to have a relaxing and pampering day. All of our bath products are created with nourishing ingredients including Shea Butter and Vitamin E to give you incredibly soft and moisturized skin, truly a treat for your senses and skin. Our products are PARABEN-FREE and NEVER TESTED ON ANIMALS. We use all full size 8 oz bath products and each and every gift is hand packed and created by talented gift baskets artisans. Our gifts are not mass produced and put together by machines. All of our gifts are hand crafted, hand packed and finished with hand-tied bow for a truly one of a kind experience. Includes White Gift Box, 8 oz. Moisturizing Lavender Body Lotion, 8 oz. Moisturizing Lavender Bath Gel, 8 oz. Moisturizing Lavender Body Spray, Foaming bath fizzies, glass candle, bath sponge, under eye facial mask. Topped with a hand-tied bow..